Radiance covers a standalone brick fireplace in a mid century ranch home in Broad Ripple, Indiana. 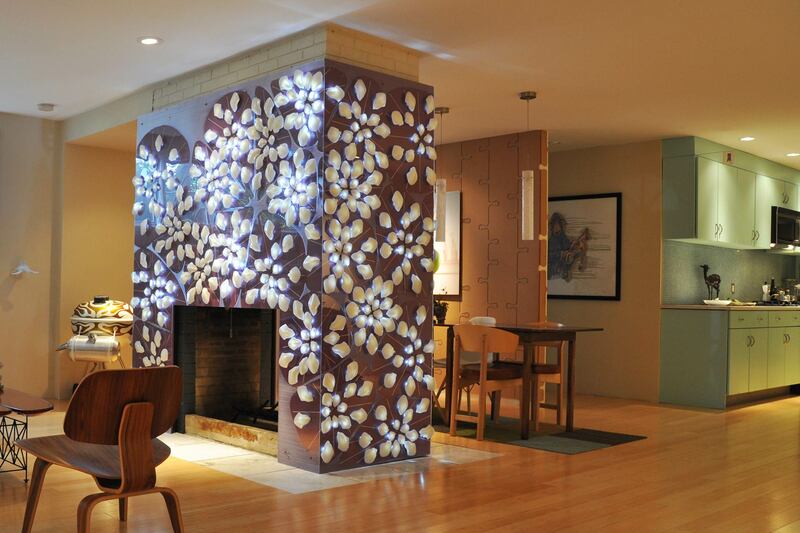 The clients rarely used their existing wood-burning fireplace and wanted to change its function. 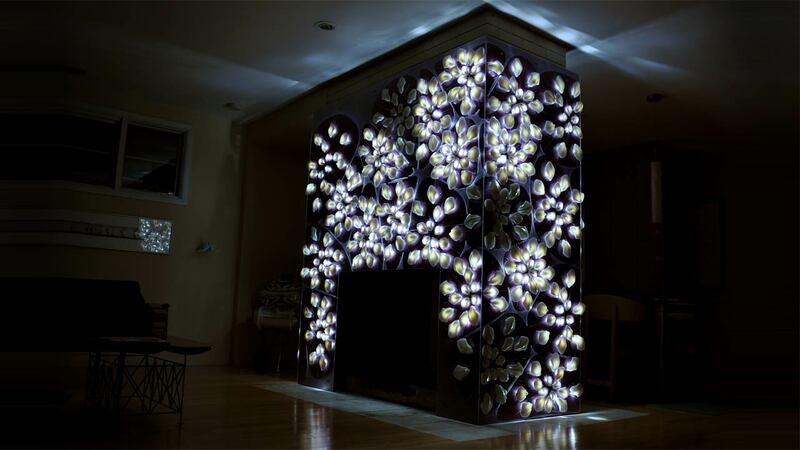 We proposed a reactive ambient lighting piece that still hosts the traditional qualities of the hearth, by re-centering the focus of the home and providing an ambient environmental effect. 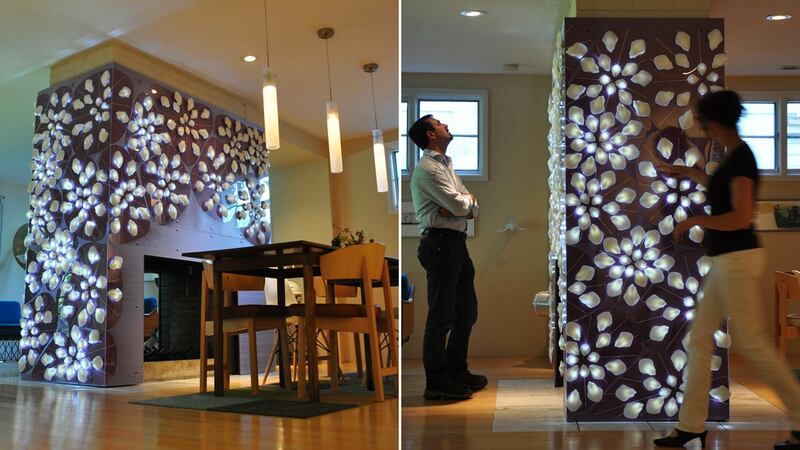 This project was commissioned for a private residence and was inspired by various shelf mushrooms. 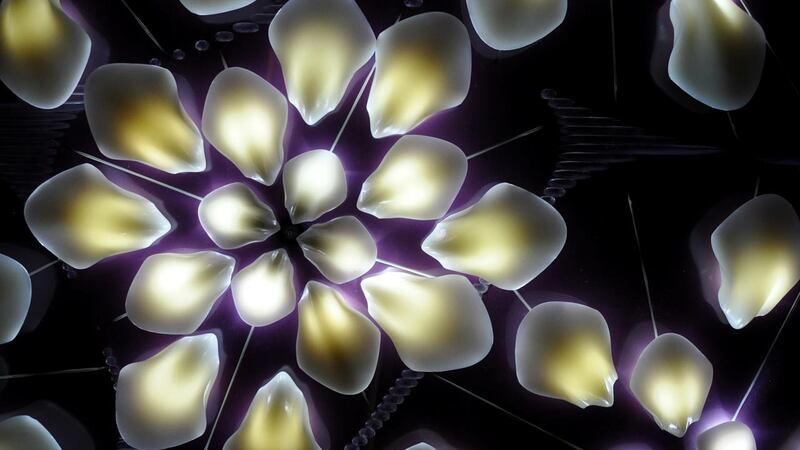 Their form, organizational structure, and component geometry has been abstracted into our system to arrange each pod. Radial sets of 16 components with an LED placed directly behind each are centered on PIR sensors, acting as the trigger for the parts around it. There are two pulses that occur after triggering a pod’s sensor. A primary, that fades to full intensity and quickly fades off, followed by a secondary, which fades on quickly, but dims slowly over nearly a minute. This pattern can be interrupted as new users trigger a pulse creating the dynamic lighting affect seen in our video. Similar to the lighting effects of fire, Radiance creates dynamic changes in intensities across it surface. This makes the piece enticing to watch and because the pulses fade in and out so smoothly the lighting is not overbearing. 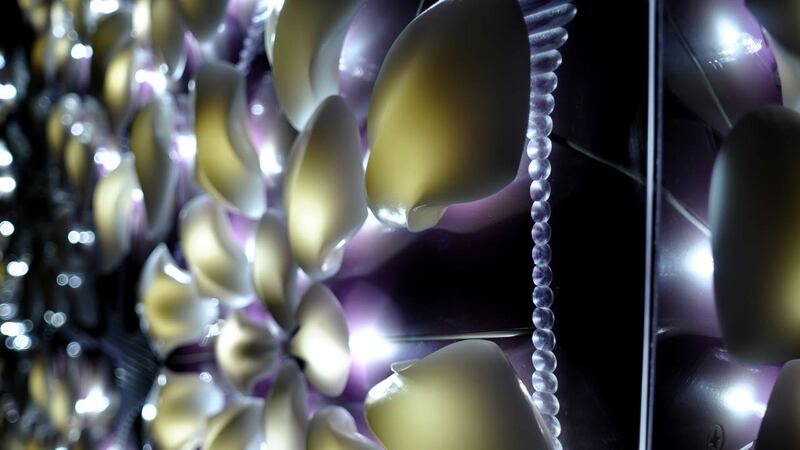 There is a distinct difference in the lighting qualities throughout the day and into the night, as the piece becomes more and more the central component bringing light into the home.